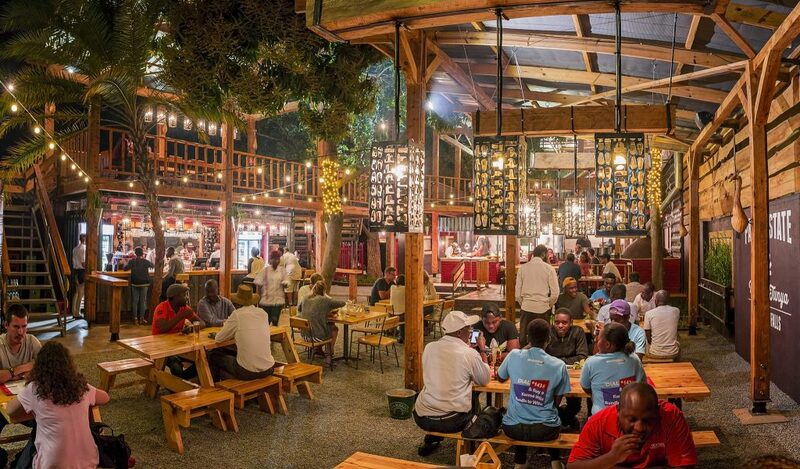 Three Monkeys is a fun, vibey spot to eat and drink, and is located next to the railway line in the centre of Victoria Falls. 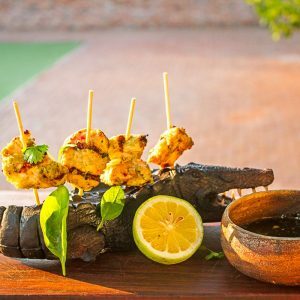 South African head chef Greg Paymans seems to have mastered the art of serving simple dishes well. 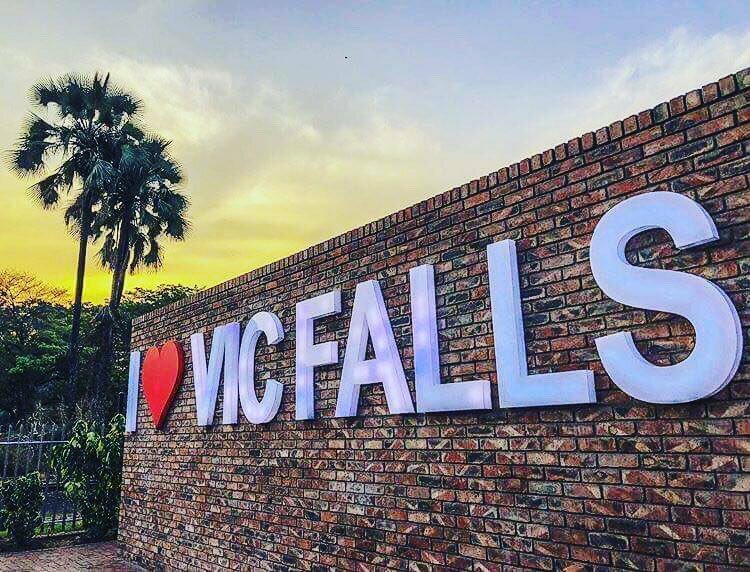 The restaurant is built around an old railway carriage, with diners opting to be on a dimly lit deck under canvas or on a funky fake grass setting under the stars with the unmissable and much-photographed “I LOVE VIC FALLS” slogan as a backdrop. On this summer night I order a ham, mushroom, olive and artichoke pizza, which comes with a thin crispy base, and a tasty topping. My companion starts with a crocodile skewer, which is light, and full of flavour, followed by a pepper steak pie, served with chips and onion rings. It is rich and meaty and has “everything you look for in a pie”, he says. Other offerings worthy of a mention include kudu carpaccio and trio espetada – tonight it is flame-grilled impala, zebra and beef. For dessert we can’t go past the banana hot cakes, imaginatively served in a baobab fruit shell. Simply delicious and not too sweet, they are complemented by baobab caramel, coconut sorbet and fresh bananas. 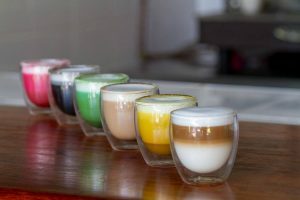 The drinks menu has something for everyone, from the exciting cocktail list to a well-rounded selection of wines. 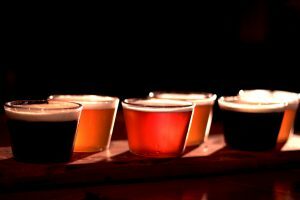 What can go wrong when the evening begins with a beer tasting? Soon after arrival at The River Brewing Co we are presented with a tasting tray of the six beers, which are brewed onsite by head brewer (and one of four directors) Lionel McCauley. 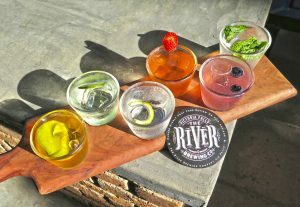 My favourite is the Painted Dog Pale Ale, but the most popular brew there is The River IPA. While the contemporary, spacious, warehouse-style interior had been rather inviting, we chose to sit in the beer garden under the stars. Soon after settling in, a local busker arrives and sings and plays his guitar for the diners. 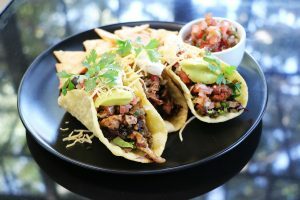 I opt for a touch of Mexico with the triple beer grain tacos, which is full of flavour, while my companion chooses the ale-glazed beef ribs, which, again, do not disappoint – tender, cooked to perfection. For dessert we opt for the gin tasting paddle, a selection of six gins and different mixers, with the winner being the moginto, described as “a twist on the Cuban classic cocktail, tart and zesty, yet light and crisp”. 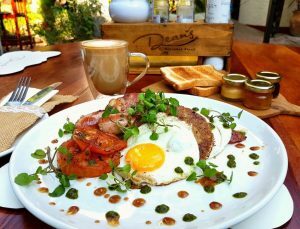 In the secluded courtyard of Elephant Walk’s Walk Shopping & Artist’s Village, Dean’s is an up-to-the-minute café serving breakfast and lunch. 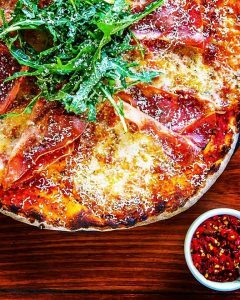 It was opened nearly a year ago by Zimbabwean chef Dean Jones, who graduated from Cape Town’s Silwood School of Cookery in 2015. 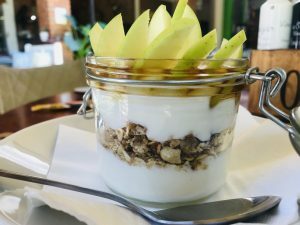 We are here for breakfast, and I decide to try the breakfast jar – crunchy granola, thick Greek yoghurt, fruit and honey, along with a charcoal latte. My companion chooses the calves share – a fried egg, pork sausage, bacon and tomato, served with toast. Both are very pretty dishes and prepared perfectly. 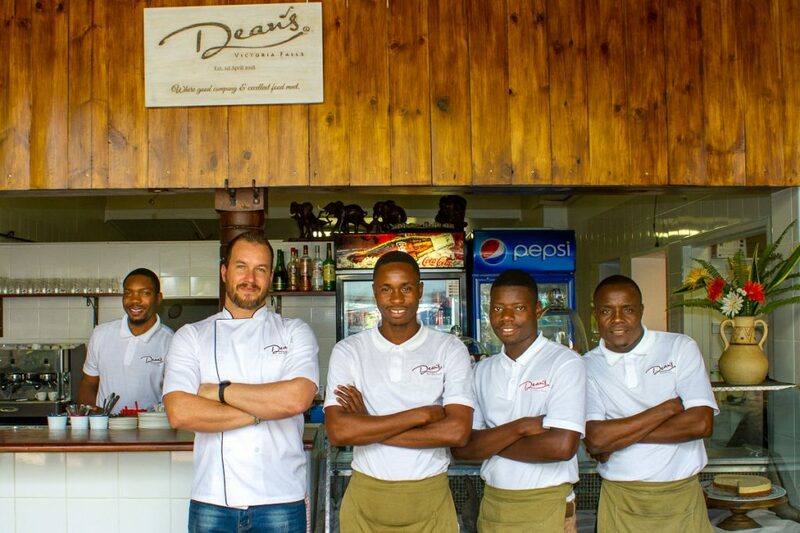 Dean is also known as The Singing Chef, as he hosts private dinners where diners are treated to a three-course meal under the stars, and he often sings. On another occasion, I experience the private dinner – a starter of pea and artichoke risotto, followed by beef with fondant potatoes, an espresso beef reduction and butternut puree, and then a chocolate brownie with a cheesecake ice cream and meringue. It is very “MasterChef”, and utterly delicious. We dine at a long table beneath fairy lights, with soft music playing. 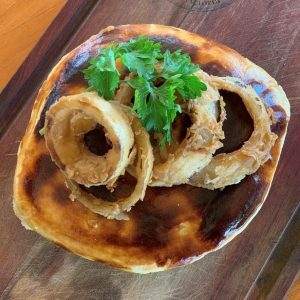 The luxurious Stanley & Livingstone Boutique Hotel opened its restaurant to the public, following the completion of a $4.5 million refurbishment late last year, so a group of us decide to try it out. 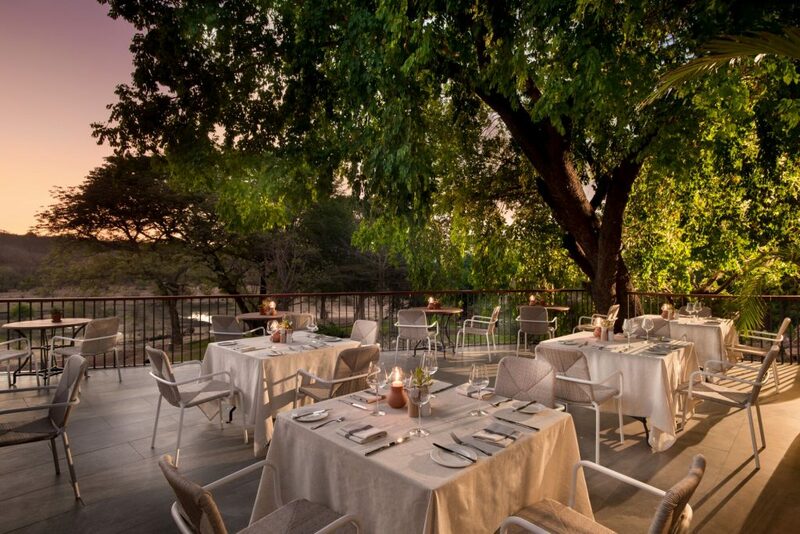 Seated on the verandah, with the night sky as our roof, and overlooking the gardens and a waterhole visited by a variety of wildlife, we peruse the menu. 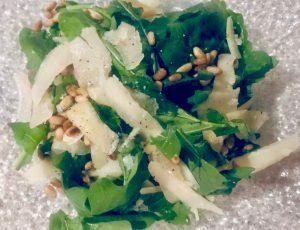 I start with a simple, but fresh and delicious rocket and pecorino salad with toasted pine nuts. Others choose the smoked venison carpaccio or the chicken liver parfait. 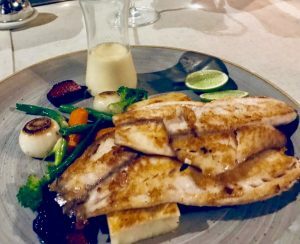 For mains it is pan-fried Zambezi bream with a lemon beurre blanc sauce, served with braised potatoes and wilted spinach. The serving of fish is generous, and the flavours are delicate and beautifully balanced. For dessert, most can’t go past the chocolate fondant served with Amarula ice cream. 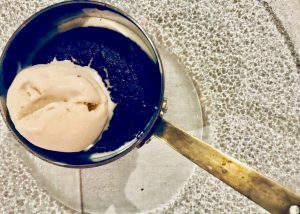 The fondant is gooey and decadent, while the subtly flavoured ice cream, refreshing. 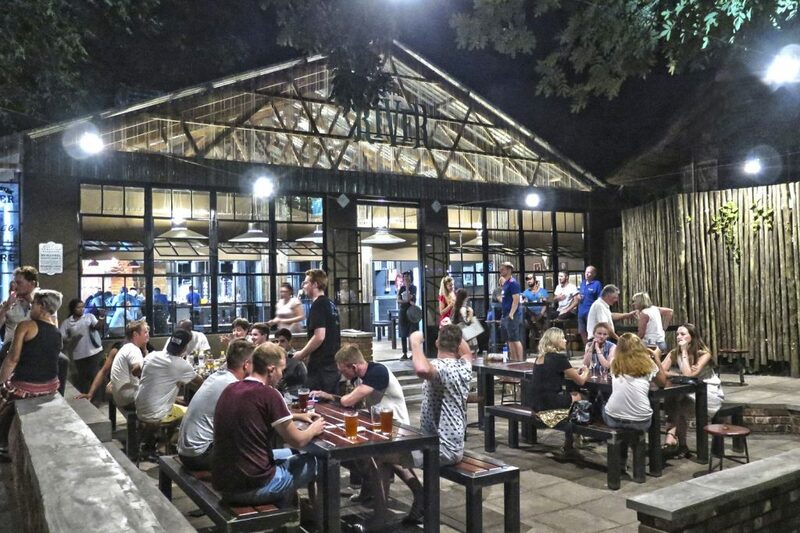 Pariah State, a pub-style eatery, opened its doors in Victoria Falls six months ago, offering pizzas, sandwiches, wraps and burgers, as well as steaks, chicken and fish and chips. Its’ spacious and open-air setting oozes “urban cool” – wooden tables and chairs are scattered across a gravel floor, there’s also an upstairs dining deck, and the wood theme is broken up here and there with a splash of corrugated tin. 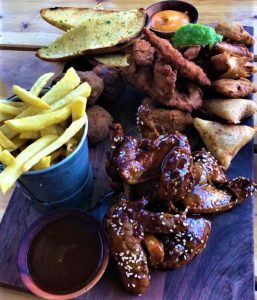 We are here for lunch and decide to share the pariah platter- a mixed platter of BBQ wings, mozzarella stuffed crumbed meatballs, chicken tenders, samosas, garlic bread and fries. It is open daily, serving breakfast, lunch and dinner.